Posted October 1, 2013 · Hidden by Allie Mo, SASS No. 25217, October 1, 2013 - Same as before. Hidden by Allie Mo, SASS No. 25217, October 1, 2013 - Same as before. in the saloon we just josh a bit and are more likely to just get along. anything outside their parochial and narrow world view. to the folks here who are discussing this topic, and either making a case for or against it. I truly hope you're a better person than you portray yourself to be. I'm sorry to find that my love for my pet goat is in your mind "moral depravity". Why so narrow minded? If this world is to become a better place, we all need to accept those that are a bit outside of our preferred paradigm. Your post suggests that you need to work on that. If you try really hard, I'm certain that you'll succeed. By the way, I am a great guy, Just ask my goat! I would take Steam Punk costumes over the almost no costume many folks tend to think is ok. Just my 2 cents worth. Who is this "Tex" of which you speak? He's the guy whose SASS number is 48,746 lower than yours, Rookie. 40 Rod, I'm 99.999% sure he was making a joke. Geeze, lighten up Brother. Nobody is shootin' back. Let's just talk about Costumes, please. I know tangents are common on subjects posted here. Let's just not make the tangents about who has the smartest repartee or cleverest insult. So, there’s an example of where this could be going, kilts and all. But, seriously ... why not spend the same resources and effort in dressing in period western clothing, the more “cowboy” the better? I believe we should remember that this is Cowboy Action Shooting. If someone or a group of people want Steam Punk Action Shooting, they could collectively start their own company and dress in clothing and shoot whatever weapons are esthetically pleasing to them. They could call it SPAS or something like that. The above is my opinion. No kilts were damaged; no kilt wearers (even the character in the photos), no steam punkers, no cowboys and no animals were injured in the production of this reply. 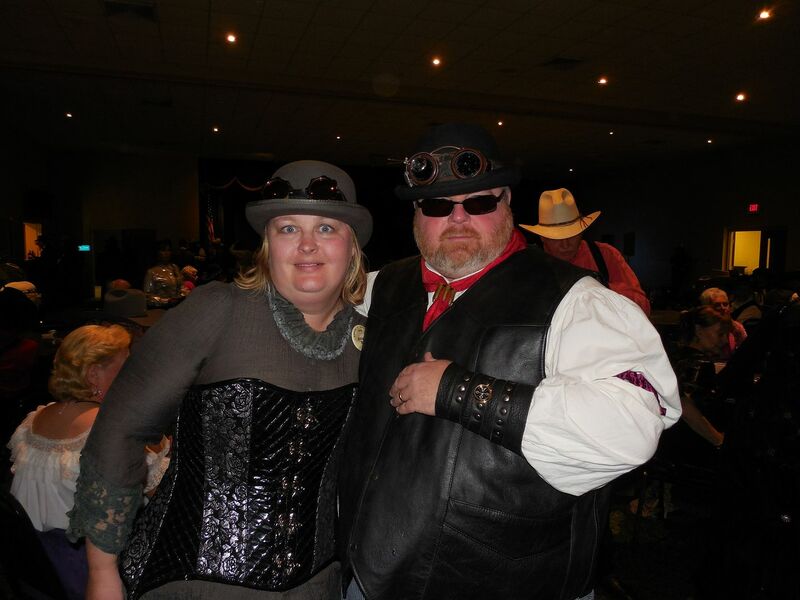 Full disclosure: I am not really one to dress up in Steampunk myself. However, I have shot in "big" matches before in my pajamas. Period correct pajamas, but pajamas none the less. People keep asking my wife if she sewed 'em up. Nope. If there is any sewing to be done in the house, I'm doing it. And besides, since I am not shooting B-Western, nowhere in the rule book does it say that I have to wear pants. Cat, I appreciate the nice "Steam Punk Harness Boy Steam Punk Idiot Kilted" picture you found on the Internet. And I would agree, this guy is obviously not wearing an approved costume for SASS. He is not wearing a long sleeve shirt. This fact is already covered in the SASS costuming covenants. However, this guy does not really represent the mainline victorian steampunk that folks here are advicating for. Nor would I think that he would be looking to join a SASS match in the first place. For as many of the way far out there things you can find on the Internet, because everything on the Internet is true, you ignore the fact that you can also find good examples of what these folks are actually looking for that do fit into the rules. The point I am trying to make here is that there is a line of steampunk that is true to victorian styling that very much falls into the existing costuming covenants of SASS. Instead of trying to paint an entire genre with a broad brush based on your slanted Internet search that produces a red herring to further your inglorious cause, why not help open a dialog to learn what Stempunk is really about and how these folks are trying to do good work with their costuming and help SASS and some pards along the way. Rolan got it correct--was meant to be a joke. Pajama Parties, 1880's swimsuits, baseball uniforms, Pith helmets, Kilts and about every type of Officers military uniform with all the brass, sashes and feathers! So if it's cool to wear to a costume contest why not a match? Just add goggles and some other appointments and your there. We have a wear your long johns match once a year...flaps always buttoned up. We have an annual Easter Bonnet match and yes the men are in. Custom creations all for the fun. I've seen Hawaiian themed matches complete with coconut shell bras and guys wearing grass skirts. Prison strips, Bib overalls, Train engineer caps, Heck I once saw a guy on here that was dressed like an indian, no shirt and a loin cloth...all in fun. Me thinks you doth protest too much, the horse is out of the barn and eating the neighbors roses. I think one problem here is that folks just do not understand what Steampunk is, in a general sense that can indeed fit into our SASS rules. It is usually Victorian dress, with a little added from the works of Jules Verne and HG Wells and science fiction. . Those fit into our rules quite well. Perhaps it is the word "punk" that scares people.....I don't know. But you will find the majority do not fall into the category posted by Cat Brules (which is illegal anyway because of the long sleeve requirement). Obviously, at monthly matches there are often exceptions made so that people can have some different fun, such as the swim suits, underwear, etc. If you don't want to do this, great!! No one has said anyone has to, just stay with your traditional cowboy and have fun. But there were many other styles of clothing worn then outside of those confines, including examples from the movies and TV. B Western and Classic have very specific rules and the SP will not fit into, but why rain on the idea of fun others might have??? And somehow I sincerely doubt that SASS will suddenly become a SP fanatics sport. Hey........ we can use a code word! Exchange "punk" for "engine"! Steam Engine would fit our 1800's thing and not too many people would actually know what we're talking about! I'm fully aware of what stampunk is and what it is about. I just do not accept the idea that it has a place in SASS. I don't think your PJ's were appropriate either. As an attempt to stand out, perhaps they did stand out, but I don't believe in a good way. This is not about "costumes:" it's about period clothing. There is a HUGE difference. Your only complaint about the guy in the photos is that he's not wearing a long sleeve shirt. The idea that anything is acceptable as long as it is even remotely conceiveable that "it" can be shoehorned into the rules is, I believe, symptomatic of the wide void between our perceptions of acceptability under the rules. Using that concept of anything goes as long as we think it can fit into a rather lax descriptive of the rules means that our crazy kilted guy in the photos could become SASS legal if he wore a skin-tight henley-style long-sleeveed shirt with "steampunk" or other embelishments. This "steampunk"concept of victorian dress actually never actually existed at all. Lawyerizing the rules to make this stuff fit is simply wrong, in my opinion, and with no one there to stop it, the problem becomes worse. 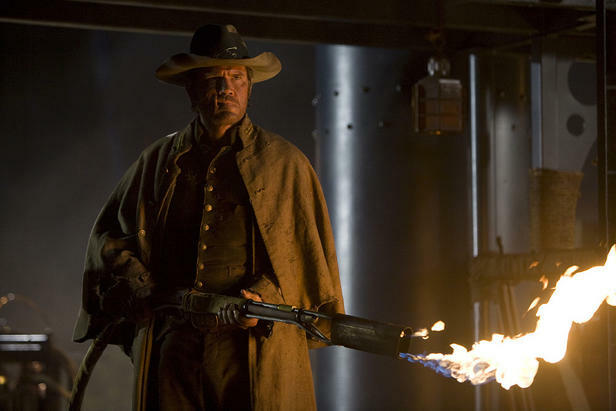 May I again say that this is Cowboy Action Shooting and not a 21st Century vision of Victorian Sci-Fi Action Shooting? My belief is that over the years, the administration or enforcement of SASS rules related to clothing was limited, because the owners were mistaken in their belief that more specific, documented standards were unnecessary. I think that they trusted that members would enthusiastically on their own, progress past the “startup” minimums for period clothing and other clothing for special categories (as noted in the rules) and would later, within a reasonable time, upgrade and “look the part.” of a working frontier American citizen, and NOT the part of a Scot in full regalia or a Chinese railway section hand. Of course, this effort to look the part was not embraced by many members who continue to aggressively refuse to do that. Instead, they expend effort and resources to look like something else. Continual urging by SASS (generally in the form of Tex’s editorials) for members to upgrade their clothing, is now met with sarcasm, insults and ridicule by some members. These people are essentially daring SASS to take steps to create more rigid standards. This argument that, "Nowhere in the rule book does it say.... ," in my opinion, is specious and is simply thumbing one's nose at the spirit of the rules and the membership at large, who DO attempt to dress within the spirit of the rules. So, I just don't think the Full Monte of steampunk and other forms of "isolated-incident-clothing" (Samurai, Sikh, etc.) belong in SASS. Further, I disagree that this crazy kilted guy in the photos is an extreme and unlikely example of what might come. I think this character DOES represent just how badly anarchism within the clothing rules of SASS could go. Slap a long sleeve, flesh-colored, painted fabric shirt or a shirt of chainmail on this guy and he's good to go. All he needs is guns and an abbreviated, sort of western hat. Keep the goggles ... safety glasses, right? One may ask, "Where does it stop?" And, the answer of course is, "It doesn't stop." Not until the owners step up and create a set of clothing rules that are specific and then, rigidly enforce those rules at regional and higher matches. However, it does seem remote at this point, that such an effort will be forthcoming, doesn't it? I think that there are enough folks who are interested in going there, dressing steampunk, while staying within the rules of the game, that it will continue. and harmless aspects of the game are part of it's origins; note the off-the-clock stage activities that so many remember from the good old days. Attempting to close off more doors just leads to a smaller room and less access for other people. There are folks who find it fun, and others who only came into the game because of the costuming options. that brings in a few more folks and enlivens some of the others who are here, isn't all bad. more younger people will immediately understand, and it's a lot less boring than the minimilist cowboy outfits that some folks chose to wear. We'll just have to see where it goes, it will do what it will do naturally, unless interfered with by the rules folks. Around here, we look forward to what Branchwater will come up with next!! We roll our eyes and say, "Don't encourage him!!" but we all do!! I've seen a few costumes that were suprising at first, but that fit the shooter's personality, amuse those of us with a sense of adventure, and attract attention to our game! I'm reminded of a well known shooter that dresses in a union suit and top hat! Not even shoes!! Too cool! I wish I could pull off something like that!! Townie clothes are too ignored in our game!! There was a young man who dressed as Abe Lincoln and even had that for his alias! Ain't seen him in a while, but the idea was great!! I've seen a couple of ladies dressed like the ones in the post above!! WE SHOULD DEFINITELY ENCOURAGE MORE OF THAT!!! Jack, you have to have mucho moxie to wear pajamas to a sass event. I especially like the nightcap with the tassle! +1. Your opinions were spot on. "Honor To Whom Honor Due"
May I again say that this is Cowboy Action Shooting and not a 21st Century vision of Victorian Sci-Fi Action Shooting? My belief is that over the years, the administration or enforcement of SASS rules related to clothing was limited, because the owners were mistaken in their belief that more specific, documented standards were unnecessary. I think that they trusted that members would enthusiastically on their own, progress past the “startup” minimums for period clothing and other clothing for special categories (as noted in the rules) and would later, within a reasonable time, upgrade and “look the part.” of a working frontier American citizen, and NOT the part of a Scot in full regalia or a Chinese railway section hand. . I agree that the owners probably felt that people would dress in period appropriate frontier garb, and wrote rules that allow the full variation of what was present on the frontier. However, you're falling into the trap that "frontier=cowboy". In actuality, there were not that many actual "cowboys" on the frontier. There were more trappers, townspeople, farmers, and tradesman, by far, than "cowboys". There were tens of thousands of Chinese who worked on the railroad, Welsh miners who built tunnels for the trains, and even some Scots with sheep on the frontier. In towns you'd have doctors, barbers, bankers, shop keepers, and saloon keepers, many of whom would wear suits of the Victorian era as their normal clothing. Just outside town, you'd have the blacksmith, who would wear leather to protect himself while doing his job. You'd also see trappers wearing full leather or buckskins. All of this is frontier appropriate, and all of it is accomodated in the rules. I strongly disagree that choosing a frontier period correct, but not a 100% cowboy outfit, is "simply thumbing one's nose at the spirit of the rules". The rules are what they are. There is a rule that says I have to dress 100% cowboy if I'm in Classic Cowboy (CC) or B Western (BW). Outside of those two categories, I am free to wear any conforming frontier style of clothing of the period, as defined by history, TV, films, and literature. The rules are quite specific as to minimum standards of dress, but nowhere does it state that everyone has to dress as a "cowboy", despite your specious attempt to link "Cowboy action shooting" to a costuming standard. If you want to have everyone dress 100% cowboy, I suggest you start your own organization. An examination of any match would show you that the number of CC and BW entrants are quite small compared to all the other categories, so it is unlikely that a cowboy costuming requirement would ever be enacted by SASS. I think that most Steampunk clothing is entirely appropriate to the Victorian era, and the choice of having a few extra bits (such as welding goggles on a top hat) thrown on isn't so far away from being period correct that it's objectionable. I might have issue if someone showed up as First Officer Spock, but not if he came in period correct clothing, as opposed to his Star Trek uniform. I agree with Judge Bagodonuts. The rules lay out a period of time to dress to. Other than CB and BW the rules do not define what the period clothes mean. The Cowboys of the West or Frontier were a very small group that lasted a very short period of time. And Cat read the rules,,,,hats are not required. The rules only define what you can't wear. We've had numerous discussions here on the wire about hats. Required or not. And whether or not anything other than a Cowboy hat should be allowed. Any type or style of hat is legal as long as it isn't what is described in the rules. Top hats, Tams, straw, knitted etc are all used and allowed. The alternative dress code is allowed at all SASS functions. The military, swim suit, ball player, Pajama's show up in the costume contests at EOT and the convention. It's not a monthly let them get away with it thing. Look at the costume winners for these events. I value everyone's opinions but like my opinions they are not the rule of the organization. Let's all dress the way we want and enjoy the game, oooppps non-historically correct participation event..
Dressing a little "outside the box" is not new in SASS, remember Gunzilla? I do, and with great affection for his sense of humor. SASS is NOT a historical re-enactment, I seem to remember some other shooting club that tried to be so strict that it drove off members. This is a "fantasy" sport, and we do have rules that Steampunk can fit into. Love the pictures posted above by Branchwater...thanks!! I swear that I cannot take this woman out anywhere without her finding more members of her tribe. Thanks Jack. It was nice meeting you and Belle. I also spoke to Iva Gun who said that she was going to put a Steampunk outfit together for Guns of Autumn. Gives me a reason to wear my gear again! And Oh look. 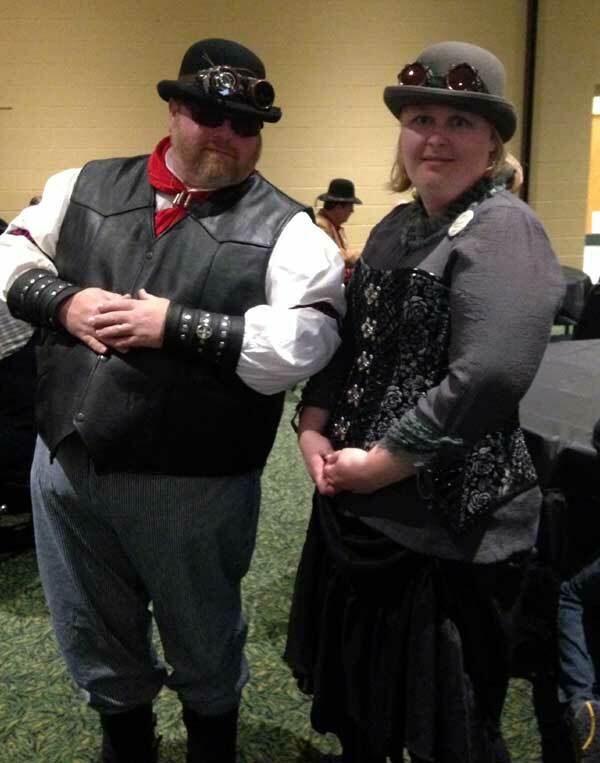 Me in my Steampunk getup with Justice Lily Kate, who complemented me on my outfit and said that "she thinks she has a picture of the Judge in a Steampunk outfit". Rolan: Miss Iva order her steampunk stuff earlier this week. She should be all steampunked out for the Guns of Autumn. As for myself I will be the cowboy with the steampunk redhead. Oh and by the way I think "steam punk " can be B-Western legal . (4) spurs maybe brass looking with brass spotted leather straps. (5) scarf or bolo with a sprocket like slide. (8) belt with cool brass spots or some shiny silver or gold bling . Think that should just about cover it . This sport is about having fun right? You got it Slick it's about having fun. I like Steam punk, however a "derby" hat is NOT a B Western Cowboy hat. I think you need to keep in the spirit of B Western here and sorry, but Roy Rogers etal were NOT steampunk. Plus, I'd have to give up my 1873 Rifle. I don't see that happening. It's about fun lighten up a little, trust me I'm fully aware of the "B-Western " attire rules inside and out so to speak . But dress code says "FELT" hats only NO straw hats . Hats must be worn . Well a felt derby is a felt hat !!!!! Steam punk can be as fancy and flashy as one wants to make it AND could fall within the dress code rules of B-Western or Classic Cowboy!!! The rule book does not give a specific "style " hat all it says is FELT, and as long as a shooter is in the guide lines according to the rule book for B-Western or Classic then it's LEGAL . Sorry, seems the Board is acting a little strange today for me. As you well know, Slick i like the Steampunk. And yes, the rule says Felt hats, FELT B WESTERN HATS, not townie hats, etc., as this is under B Western. I do believe the TG's are going to address this and get it more detailed, since it seems everyone and their brother wants to change what has been done in B Western since its inception. It is in honor of the Roy Rogers and the other cowboys of that type with their flashy shirts etc., not any and all characters in a B Western.. (and, as I said before, those cowboys were certainly not Steampunk) There are plenty of categories that the Steampunk can be worn in and have all the fun they want. This is, of course, my opinion. But I will tell you, respectfully, I think a B Western cowboy looks pretty silly in a hat other than that which was worn traditionally with the flashy shirts. I can assure you "I" personally dress B-Western to the fullest of its correct intention. 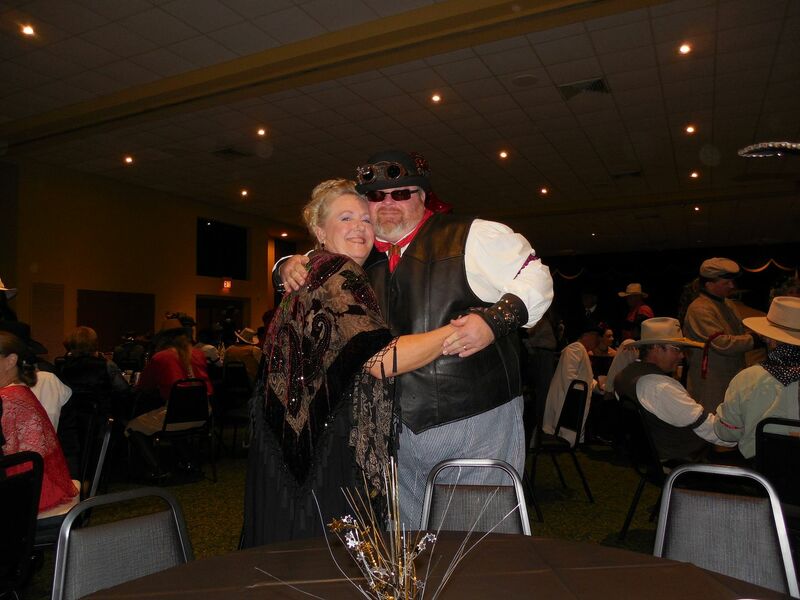 I was making a statement , per the B-Western dress rules as written it can be worn with a steam punk twist. Although some may not approve of the steam punk twist if one chooses it's still legal as of the current B-Western dress rules . Since the rules are meet nothing can be called on the said shooter as applying to proper BW category dress. And unless I missed it in the shooter hand book it does NOT say "FELT BW HAT" it only said Felt hat ( if i have missed it then please accept my sincere apologies) Any way this is more silly sass wire talk and was not intended to start a fashion war .